Uploading videos to YouTube is one of the most effective content marketing strategies you can use right now. People are watching more videos all the time, and YouTube is the world’s largest video sharing site. However, video marketing is also very competitive. According to the latest data, over 400 hours of video are uploaded to YouTube daily. This makes it increasingly challenging to get people to watch, much less engage with your videos. 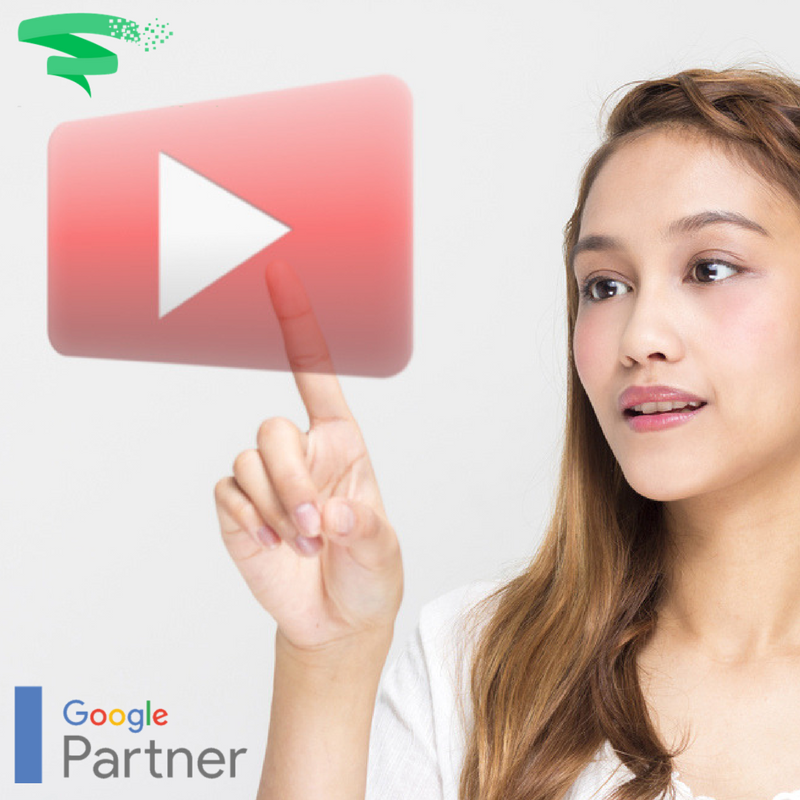 While there are many marketing strategies to promote your videos, including organic optimization techniques, email, and social media, one of the fastest methods is offered by YouTube itself. Everyone who watches videos knows that many YouTube videos contain ads. These usually appear before the start of videos, though in some cases there are interruptions in the middle, similar to TV commercials. This advertising platform is actually part of Google AdWords since Google owns YouTube. You can advertise just about anything on YouTube, provided that it doesn’t violate any YouTube/Google TOS. On the surface, it might seem like a strange idea to advertise your own videos or video channel on other people’s videos. However, that’s really not so different from promoting your own products on someone else’s website, a common online advertising approach. YouTube is a vast platform and no one, including other video makers, is under the illusion that people are only going to watch their videos. Video creators welcome advertisers just the way website owners are glad to have AdSense ads on their website. It provides them with a steady income. For your part, you have the chance to publicize your videos and get some fast traffic to them. As with any advertising platform, there are certain strategies that can help you succeed. Here are some of the best ways to use YouTube advertising to grow your own video channel. YouTube advertising can serve many purposes. Do you want to raise brand awareness, send people to a sales page, subscribe to your email list, or join your YouTube channel? Perhaps you want to send them to one of your full-length videos where you have another CTA. Before you start advertising, you have to decide what you want your campaign to accomplish. You can then track your results and, when necessary, make adjustments and improvements. Demographics – Identify the basic characteristics of your audience. Are they primarily male or female? Do they fall within a certain age range? Do they have a certain income or level of education? Location – You can target certain regions, cities, or countries. Interests – You can target viewers by interest using keywords and categories. You can target broad or very specific interests based on the channels people already subscribe to and the videos they watch. Remarketing – You can target people who have already watched your videos or visited your website. Run ads on YouTube or the Google Display Network. You can run video ads on websites as well as videos. You can have them run on sites that match your targeting options. This is similar to running a display ad except that when people click on it they’ll see your video ad. YouTube offers several options for how viewers see your ads. • In-stream ads. These automatically appear before, during, or following videos. The viewer is forced to watch it for five seconds and can then choose to keep watching or skip it. You only pay when the viewer watches at least 30 seconds of the ad. • Discovery ads. These appear next to related videos. As with sponsored posts that appear next to organic posts on social media, your ad is listed as though it was an organic video. You pay when viewers click on your video ad. • Bumper Ads – These are short ads that appear before, during, or after a video. You pay per CPM (cost per thousand views). This is a good choice for video ads that are only a few seconds long. It generally takes a certain amount of testing to find out what type of ad works best for you. You can try different format with limited runs until you land on a winning strategy. Because video marketing is so popular and competitive right now, you have to put a great deal of effort into your video ads if you want to engage with people. With any type of advertising, there’s a built-in resistance that causes many people to ignore ads. You have to get past this and give them a reason to watch your ad. • Create a catchy title. With actual videos, you need good titles for SEO. While this isn’t the case with video ads, a compelling title can pique people’s curiosity and make them watch. • Start with a compelling message, question, or image. You only have a few seconds to grab viewers’ attention before they click away. • Focus on telling a story or using a conversational tone. You don’t want to create something that’s like a traditional TV commercial, which people tend to find intrusive. Rather, look for ways to make your ad a kind of mini-video that elicits a human reaction, whether that is humor, curiosity, sympathy, or fear. • Include a clear call-to-action. An ad, by definition, has a CTA. However, with video ads, you have to make sure viewers know exactly what to do. The most effective method for any video ad CTA is usually an end screen, which tells viewers exactly what to do at the end of the video. Interactive features such as YouTube Cards make it easy for viewers to click on your CTA. Video is surely going to be one of the most important marketing strategies for the foreseeable future. YouTube has many tools to help you promote your videos. In addition to taking advantage of YouTube’s advertising platform, make sure you optimize all of your videos organically. You can also promote them via email, social media, your own website and anywhere else where you have an online presence. YouTube ads, however, are probably the fastest way to start growing your video channel. Tewfic is managing partner and head of Paid Channels at Sandstorm. His 15+ years experience spans both traditional and digital marketing with specialism in PPC, Analytics and E-commerce Conversion Rate Optimization (CRO) working with some of the region's largest brands including Aramex and DAMAC.